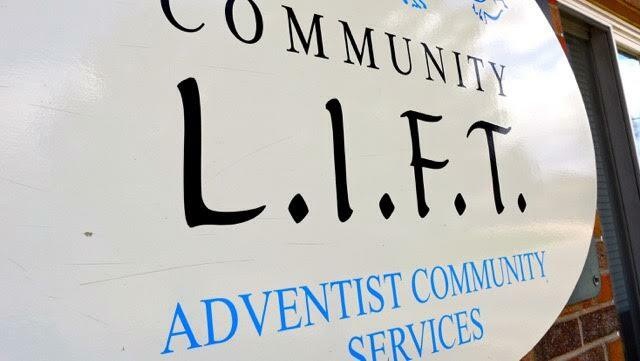 The LIFT is Continuing to LIFT the Community! » ACS LIFT is turning things around with a new look (thanks to Lowe's Home Improvement) and renewed enthusiasm. While our future at times appeared tentative, God is providing a way to continue the mission of caring for the underserved in the Metro-Denver area. Opened in 1951, ACS has been in continuous operation, serving up to 350 people per week, according to Navanta Antoine-Griffith, administrative assistant and bookkeeper for Director Deborah Jackson. According to Navanta, Rebuilding Together, a non-profit organization, is teaming up with Lowe's Home Improvement to refurbish the facility, giving them new showers, new flooring, and remodeled classrooms. The Denver Post covered the remodeling activities with more than 100 volunteers involved in the project. The open house will celebrate the new facility. Read the comments of Maria Elena, age 39 and laid-off, single mother of three: "I came to the food bank because my unemployment came in and put me $15 over the limit for food stamps for my family. This is unlike any other food bank I've seen. Other ones give you maybe one box of food which is usually spoiled produce. What an insult to a human being struggling! But at ACS, they have a mini-grocery store with carts and you can pick your foods by carbs, proteins, etc.," explains Maria. "They even have fresh milk and grow their own produce on site! Anyway, I was treated with kindness and made to feel welcome." We are here to help our clients get the critical assistance they need, offering them physical, emotional and spiritual support, teaching them how to make healthy life decisions and focus on wellness, and giving them "whole person" medical care, explains Deborah. All of these services take resources. To continue to provide this much needed work, we need YOU to support your organization through donations, volunteering and prayer. Any amount of money will help. 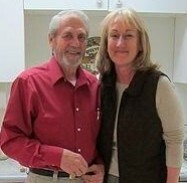 You can go to our website at www.ACSlift.org or mail your donation to: ACS LIFT, 5045 West 1st Avenue, Denver CO 80219. Voice of Prophecy -- One Year On » When the Voice of Prophecy opened the doors to its new world headquarters in Loveland one year ago. City officials were impressed with the hundreds of eager people in attendance. Learning that the ministry chose the location after months of prayer, one official remarked, "It's obvious that this place is something special!" Over the past year, VOP has grown even more robust, with 35 full-time employees and four more to come (visit vop.com/jobs if you'd like to apply). Internationally, the ministry is providing a safe home for young girls rescued from human trafficking in India, building a much-needed church in the Arctic, and reaching 120 countries in 80 languages through the DISCOVER Bible School. 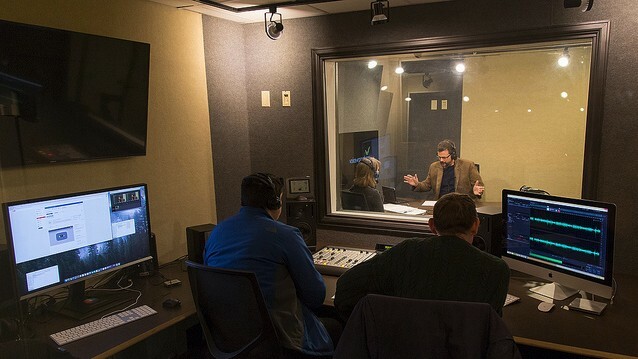 Closer to home, VOP's "future-proof" recording studio has been completed and Shawn and Jean Boonstra's new Disclosure broadcast is on the air (listen at vop.com). These are just some of the locations that will be hosting Shadow Empire. New locations are being added daily, so visit www.shadowempire.com to find the one closest to you! Montrose Church » Montrose will host Shadow Empire at 7 p.m., Thursday, Friday, and Saturday evenings with an additional session at 11 a.m. Sabbath morning, April 28-30. The church is located at 1551 Valley Road, Montrose CO 81401. 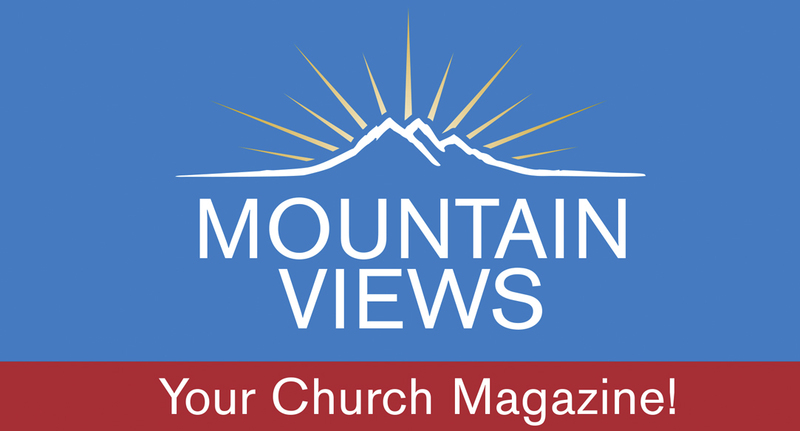 Voice of Prophecy » There's still time for churches to sign up for Shadow Empire! This guest-friendly three-day (April 28-30) Voice of Prophecy event was taped on location in countries like Serbia, Turkey and Italy. Co-presented by Shawn Boonstra and your local pastor, the series (and accompanying book and lessons) will explore the Emperor Constantine's impact on religious freedom today. This direct-to-church series has been designed to bring people from YOUR community through the doors of YOUR church. Request a FREE event kit now at www.ShadowEmpire.com/Event, or call 1-888-744-1958. Want to attend? Find the location near you at www.ShadowEmpire.com New locations are added daily. We are gearing up for another summer camp season at both of our camps here in the Rocky Mountain Conference -- Glacier View Ranch in Ward, Colorado and Mills Spring Ranch in Casper, Wyoming. To date, we have a record number of campers registering -- almost 400! God is truly blessing us with an extraordinary staff coming from Colorado, Wyoming, Tennessee, Texas, and even California. They are already praying for the campers who will grace us with their presence in a matter of months. Campers are chomping at the bit to come back this summer. A teen camper last summer stated, "I'm a changed person. I'm glad I had such an unforgettable experience." A junior camper said, "Best time of MY Life!!" And a cub camper shared, "I loved all of the GVR staff because everyone was so kind." Architects of Tomorrow Leadercast 2016 Offered to RMC Teachers and Pastors » The Education and Ministerial departments of the Rocky Mountain Conference have teamed up once again to sponsor Leadercast Live 2016. Leadercast Live is the largest one-day leadership event in the world. Broadcast live from Atlanta to hundreds of locations around the planet each year, it brings together some of the most recognized and respected global leaders to create an experience unlike any other. If you would like more information or would like to purchase tickets, go to event.leadercast.com/location/rockymountain. Tickets for teachers, pastors, and office staff are being provided by the Rocky Mountain Conference. 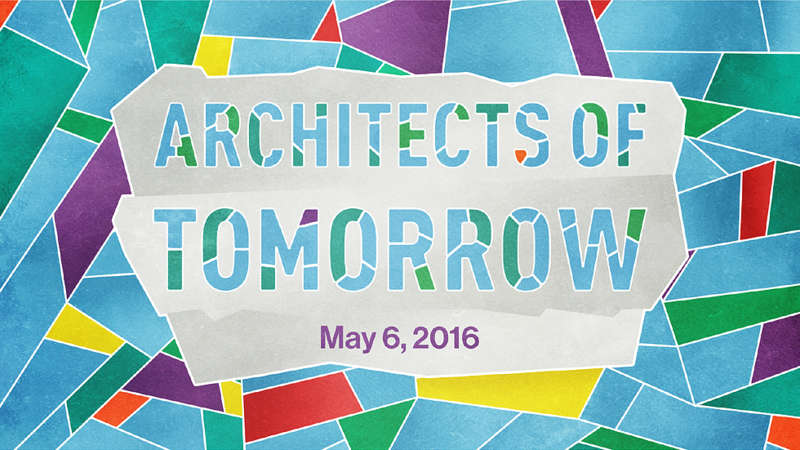 This year's theme, "Architects of Tomorrow", will look at what it means to be a visionary leader, how to cast that vision and how to mobilize individuals to fulfill that vision. Among this year's featured speakers are Kat Cole, Group president at FOCUS Brands; Nick Saben, head football coach at the University of Alabama; James Brown, Network Broadcasting Company, CBS Sports and News; Steve Wozniak, co-founder of Apple; Chris Carez-Brown, author and creativity guru; Dr. Henry Cloud, acclaimed leadership expert, clinical psychologist and best-selling author; Rorke Denver, U.S. Navy Seal and author; Andy Stanley, leadership author and communicator; and Tripp Crosby, comedian and director. Youth Department » Copper Mountain Lift Tickets for the 2015-2016 Season are available through the RMC Youth Department at an amazing rate. There are NO BLACKOUT DATES! email [email protected] Payment options are by check, cash or credit card. Add $3 to mail tickets. The 2016 girls retreat, "Created Flawless," will focus on how we're made by our Creator -- flawless and perfect in His image. Join us April 29 to May 1. The cost is only $38 per teen girl which includes two nights and five meals. One sponsor per eight girls. Go to rmcyouth.org/teengirlsretreat for more information and to register today! ACS LIFT » ACS LIFT community center is getting a wonderful facelift from our friends at Lowe's Home Improvement! Please join us for an open house from 1 - 3 p.m. Sunday, April 17 and experience the blessing of our renovated food bank, classroom and waiting areas. Come see the fabulous "new" ACS LIFT and share in the positive changes in our community today! The center is located at 5045 West First Avenue, Denver CO 80219. For more information or to RSVP, call Navanta Antoine-Griffith at [email protected] or 303-935-7389. John Lomacang, pastor and recording artist, will speak at Golden Church April 15 and 16. Maurice Valentine, executive secretary Lake Union Conference, will speak at Golden Church April 22 and 23. All presentations will be at 7 p.m. Friday; 9:30 and 11 a.m., and 2:30 p.m. Saturday. The Golden Church is at 3101 S Golden Road, Golden, CO 80401. Denver West Church is at 290 S Quitman Street, Denver CO 80219. HMS RIchards Elementary » Elementary students and their families are invited to our round-up and move-up day where you can visit classes the morning of Thursday, April 21. HMS is also hosting an open house and pre-registration from 5 - 7 p.m., Thursday, April 28. Come join us and see what it's all about. Daystar PIE Night» The next PIE (Parents Involved in Education) Night at Daystar School will feature CSU Pueblo staff and other volunteers facilitating hands-on STEM (science, technology, engineering, and mathematics) activities and, of course, pie for the whole family. Beginning at 6:30 p.m., this educational and fun night will take place Tuesday, April 19 at Daystar Christian School, 3912 O'Neal Avenue, Pueblo, 81005. For more information, call 719-561-9120 or go to www.daystarchristianpueblo.com. Brighton Adventist Academy Friendship Day » Prospective Kindergarten through 9th grade students are invited to visit BAA to meet students and staff, take a tour of the school, join in learning activities, and eat lunch on Wednesday, April 20. Call 303-659-1223 to let us know you plan to participate. RMC Singles Event » Enjoy eating out with friends from 5:15 to 7:15 p.m. Thursday, April 21, at the Olive Garden. A generous donor has covered our expenses, so come and enjoy the friendship. Please be on time and RSVP to Sandy Hawkins at 720-252-8234. This Olive Garden is located at 2520 E County Line Road, Highlands Ranch 80126. ASI Mid-America Convention » Gary Thurber, president of Mid-America Union Conference, will present the morning devotionals at the ASI Mid-America Convention April 21-24 at Denver Ramada Plaza Hotel, 120th and I-25. The convention will kick off with Thursday evening's keynote speaker, Steve Dickman, president of National ASI. Among other speakers is Doug Batchelor presenting on Friday evening, Sabbath morning and Saturday night, and Vicki Griffen will offer seminars. A special feature, "Members in Action" will highlight the many projects funded by ASI. Exhibit booths can be perused and children's programming will be available. Meal tickets for Sabbath meals can be purchased before sundown Friday which will include Friday supper and Sabbath lunch and dinner. Special rates are available at the hotel for those attending the ASI convention. An envelope for tithes and offering to go to individual churches will be available on Sabbath. For more information, contact Barbara Taylor, president of Mid-America ASI, at 303-898-3133. Brighton Church and Brighton Adventist Academy: A Centennial Celebration of Christian Education » The Brighton Church opened its first school in 1916. The 2016 alumni weekend will be a celebration of 100 years of Christian education in the Brighton and Fort Lupton areas. BAA students will present music and a drama called "No Compromise" at 7 p.m. Friday, April 29. Kent Kast, former principal and teacher, will speak for the Sabbath morning church service. A haystack lunch will be provided and the day's activities will include a tribute to Letha Hoos who will retire at the end of this school year after 41 years of teaching. Alumni and friends are invited to join the celebration. Visit www.baaconnect.org for a complete schedule of activities. Twin Peaks Church » Presented by Tim Jones, a five-week prophecy seminar is planned for 7 to 8 p.m. Saturdays, Sunday, Mondays and Wednesdays beginning March 18 and continuing through April 23 at Twin Peaks Church. You can RSVP to Annette Tapp by calling 720-890-3767. For more information, go to www.twinpeakssda.org or www.RelevantSeminars.org/Louisville. The church is located at 9696 Paschal Drive, Louisville, CO 80027. The first annual Rake-A-Thon will be held by Lighthouse School May 1. Students, parents and church members are geared up to rake, clean up or spruce up every yard in northeast Colorado -- well, at least a few dozen yards, anyway. Lighthouse has scheduled this event as a community service project to share a "sermon in shoes". Our school is dedicated to providing funds for EVERY student who requests financial aid, so students are seeking sponsors for the Rake-A-Thon. "We want to do something nice for our neighbors and raise $5,000 for students to come to our school," reports Clara Aakko, grade 2. 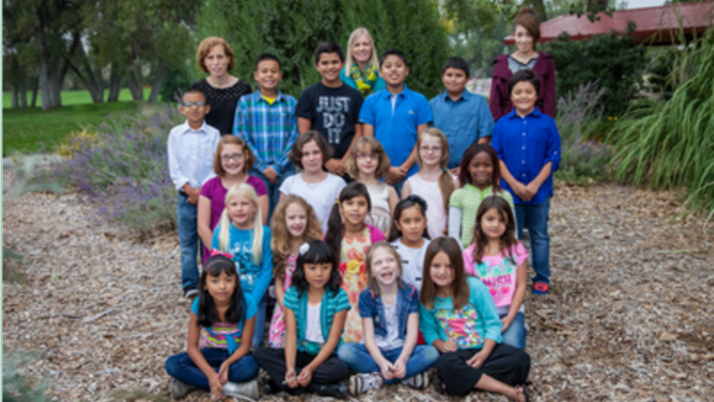 If you would like to sign up as a donor for the Rake-A-Thon, call the school at 970-397-5511. 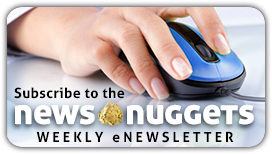 In order to make our eNewsletter accommodate an increased volume of announcements, our editorial work proposes to present information in a more efficient approach, ensuring that all timely promotions and announcements be included in a weekly, Friday release of NewsNuggets. Submission deadline for stories, news, and announcements is at noon on every Wednesday. Please send all your submissions to [email protected]org. April 3 -- 5 p.m. - 6:30 p.m.
April 20 -- 9:30 a.m. - 12:30 p.m.
April 21 -- 9:30 a.m. - 10:30 a.m.
May 17 -- 9:30 a.m. - 1:30 p.m.